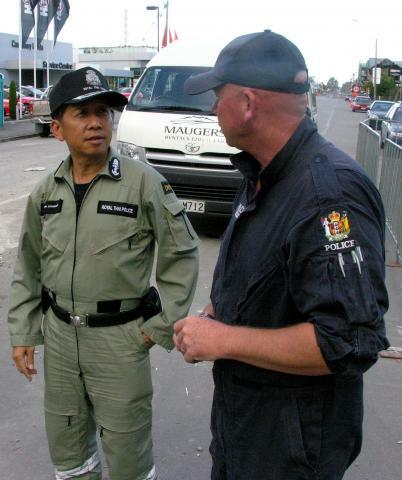 A Disaster Victim Identification unit from Thailand has arrived to assist their New Zealand and overseas colleagues in the identifying of bodies recovered from various sites following last week's 6.3 earthquake in Christchurch. Speaking from outside the CTV building Commissioner of the Thai Scientific Crime Detection Division, Police Lieutenant-General Jarumporn Suramanee, said a team of DVI specialists, fingerprint officers and a dentist had arrived to assist in the operation. They will join specialists already involved in the operation from New Zealand, Australia, United Kingdom, Israel and Taiwan who are continuing the formal identification process of victims at the temporary mortuary facility at Burnham Camp. 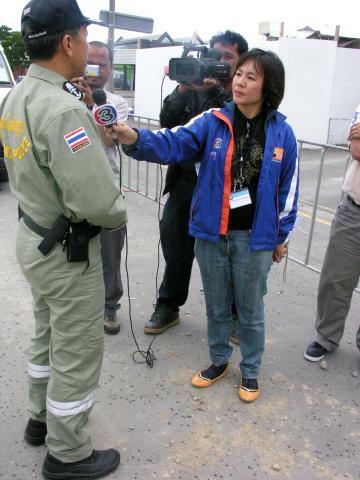 "We have worked with New Zealand DVI teams in Thailand following the Tsunami and we are very pleased to be able to assist our friends in their hour of need. "The work carried out during that operation was of a very high standard and all indications are that this is being continued during this current incident." While conscious of the urgency to complete the identifying of quake victims accuracy could not give way to expediency.